It is my opinion that it shouldn’t take long to see an obvious improvement when you’re working on your golf. If you are making changes to your game and in particular your swing, you should be seeing results relatively quickly and not spending weeks hitting the ball worse. Making the right decisions about how to improve your game should be based on the best information you can obtain. It is for this reason that I have constantly looked to learn from some of the most respected coaches and specialists in the industry and the main reason I recently purchased a TrackMan launch monitor – trusted by the worlds top tour pros and their coaches. TrackMan is a great tool for players of all experience levels and abilities. 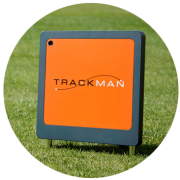 For information on lessons and lesson packages utilising TrackMan (including special Christmas promotions) please click here. I am very passionate about helping all golfers improve and always give 100 percent to all my lessons. If you’d like to talk more about your golf please use the contact me page to get in touch. I thoroughly enjoy working with golfers of all experience levels and abilities, from the complete beginner to the elite performer, from 5 years old to 85 years old – I believe I can help anyone and everyone enjoy their game more. 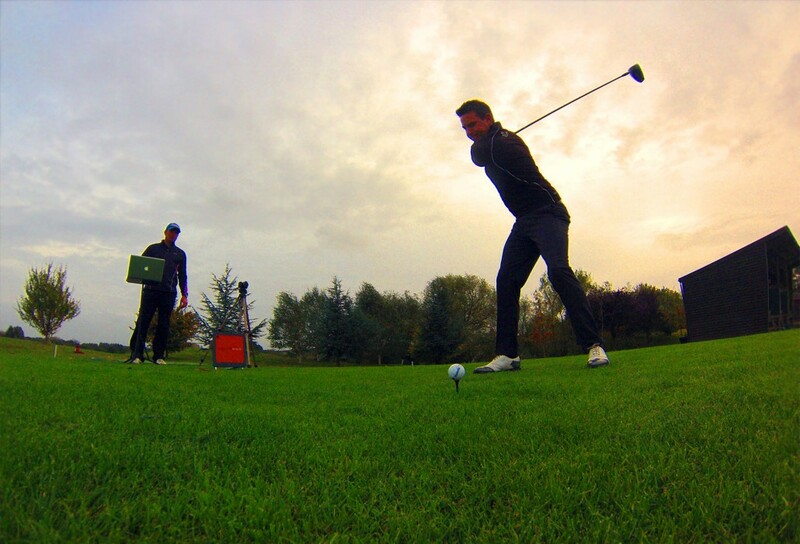 Private one-on-one tuition is a great way to make fast progress with any aspect of your game. During a private lesson we will look in depth at a particular area of your game and come up with adjustments and improvements that will suit you as a player and that fit in with your goals and lifestyle. Booking a series of lessons gives us the flexibility to work on a number of aspects or to work intensely on an area you’d most like to improve. Over the course we would measure your progress against goals we set at the start, whether that be to increase distance, improve your iron play, develop short game consistency or to simply hole more putts! Improvements are possible for everyone in every area. Effective planning and goal setting is an essential part of any development work and vital to keep you progressing down the right track. 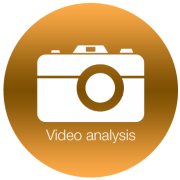 Alongside any technical work we do, we will create practice plans and outline performance goals based on facts we uncover about your game, key statistics and your personal ambitions. While I have always looked to further my knowledge in areas such as 3D biomechanics, psychology and physical development, I believe it is essential to use the knowledge and expertise of specialists when the time is right. Over the years I have worked with a number of highly qualified people in these areas and now have a network of specialists I can trust to do a great job. I always recommend a free consultation before we both commit to a performance programme. 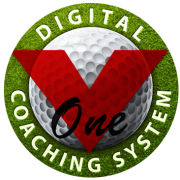 This consultation will usually last about 90 minutes and consist of a discussion about your game, an initial session on V1 and TrackMan and a few holes on the course. In my experience it is very rare for someone to get worse before they get better and any time this is the case the information is usually wrong, isn’t right for you, or the knock on effect of the change hasn’t been considered properly. Before making any technical adjustments it is important to have an accurate picture of your game and how various elements interrelate, so as to avoid the possibility of spending months or years in the wilderness looking for your swing ‘key.’ This applies to elite players just as much as it does to beginners – there are plenty of examples of prominent players who have fallen off the map after trying to make their swings ‘look’ better. I can understand that trusting a coach to help you move forward with your game can be a difficult decision to make. I can assure you that the thought of not being able to improve someone keeps me awake at night and only drives me to understand more about this great game. This search for knowledge and facts is the main reason I have sought to learn from the best in the business and why I recently purchased a TrackMan IIIe at considerable personal expense. For more information about my experience and qualifications please click here. Developing junior golfers is something I’m very passionate about. We all remember the teachers and coaches that really inspired us to learn when we were younger and I believe this quality is often overlooked in the quest for technical perfection. I remember the coaches who really inspired me to improve and motivated me to become the best golfer I could and I like to think that my approach helps to give juniors all the inspiration and encouragement they need to do just that. 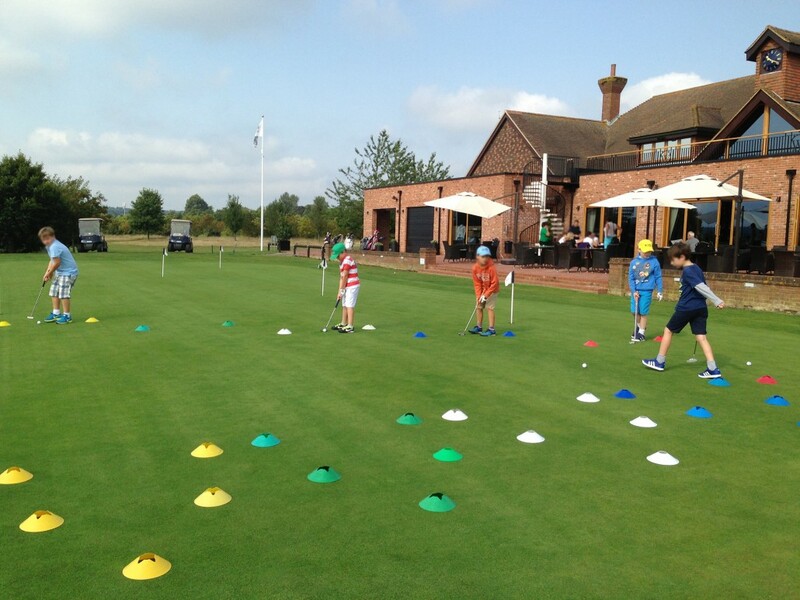 The Windlesham Young Golfers Programme is a dedicated golf development programme for children aged ten and under. It runs at weekends in the spring, summer and autumn terms and is now in its third year. It has been continually revised and improved to become one of the best development programmes in Surrey for young junior golfers. The programme is designed first and foremost to be fun. Every session involves fundamental movement skills, games, challenges and instruction to assist in skill and technical development. The programme uses a cap system which works in a similar way to Karate belts, each colour representing a higher level of achievement. This has been developed to encourage our young golfers to keep challenging and improving all areas of their golf, until they are ready to become junior members. The programme caters for complete new comers to the game while also challenging the more experienced player. Children are placed with others of a similar age and skill level during sessions to help build new friendships and confidence. You’re never too old to have fun and in junior golf I believe this is especially important. Learning a new skill doesn’t have to be regimented and boring, it should be interesting and engaging. Whomever I’m working with, at whatever level and age; sessions are designed to provide the right amount of stretch, technical development and understanding, while also being fun! Through my work as a County Coach I have gained a great deal of experience in developing young golfers. For the last 5 years I have worked as a development coach for Surrey. For more information about my work with Surrey Golf please click here. I offer reduced lesson prices for juniors, and can provide tailored lessons plans, one on one, or group sessions. Gift certificates are also available in a variety of denominations. For more details or to make a booking please contact me. My full-time coaching role at Windlesham Golf Club has allowed me to work with many lady golfers both members and non-members. Additionally I work as a County Coach for Surrey Golf on a number of development programmes which has given me the opportunity to help a lot of girls and ladies improve their golf. 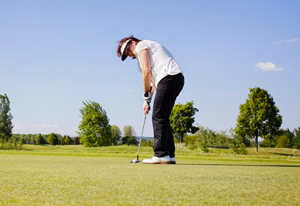 For those ladies looking to start up the game or develop their golf further, we have a very relaxed ladies golf and coffee morning at Windlesham, where myself and fellow coach Richard Bishton will spend time with you on the practice area and the course developing skills and knowledge to get you more confident about playing golf. The weekly sessions run every Tuesday and Thursday morning at 9:00 a.m. finishing at 11:30 after coffee and croissants. I teach at Windlesham Golf Academy, which is a great place to learn the game, providing a much quieter and more personalised experience than a busy public range that can often be intimidating for new golfers. The clubhouse staff and members are very friendly and welcoming and the golf academy itself makes use of all the latest technology such as slow motion camera equipment and V1 coaching software. The range has both mats and a grass tee area, as well as chipping area, practice bunkers and putting green. There is no dress code to worry about when taking lessons at the academy. I'm a Trackman and PlaneTruth certified teaching pro, based at Windlesham golf club in Surrey. I work with all standards from beginners to elite players, juniors to seniors.